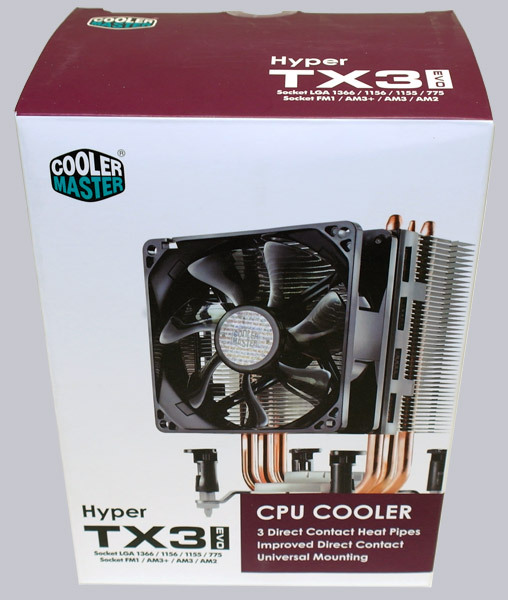 Cooler Master offers with the Hyper TM3 Evo the replacement of the popular Hyper TX3. The first apparent difference is that the fans are now mounted by an plastic brace and no longer by an metal bracket. 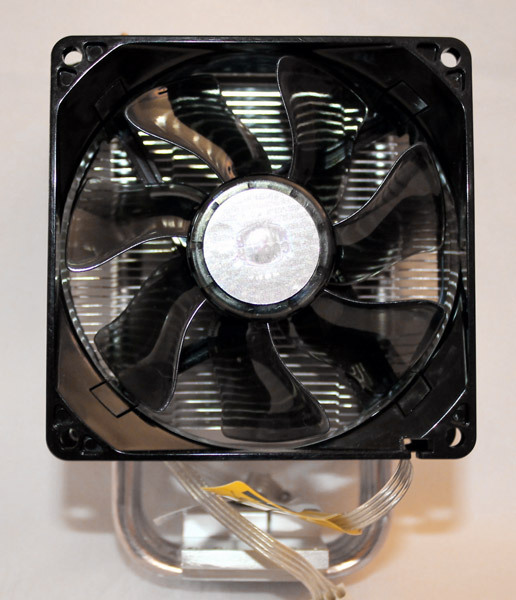 And the maximum rpm of the fans has been lowered from 2800 rpm to 2200 rpm (manufacturer information). 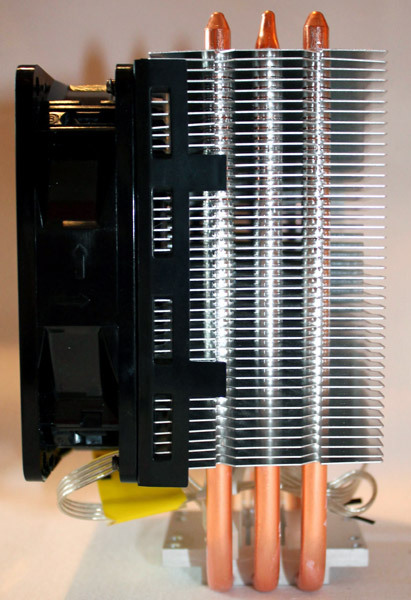 The cooler has 3 direct contact copper heat pipes they ends in aluminum fins. 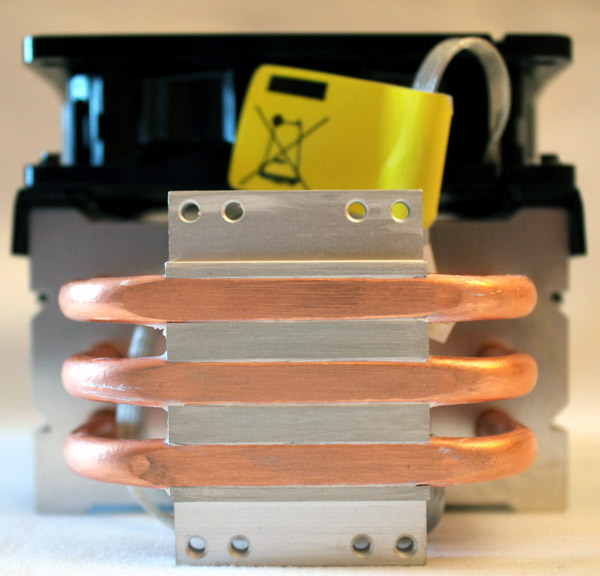 The fitting on Socket AM2 is very simple, only bye locking the clamp u must be carefully and a little bit brave. Cause you must use a touch of power to do this. Probably this can be difficult in smaller cases. BTW: A short test mounting on an Intel Socket 1056 shows, that the push pin buttons are easy to use. 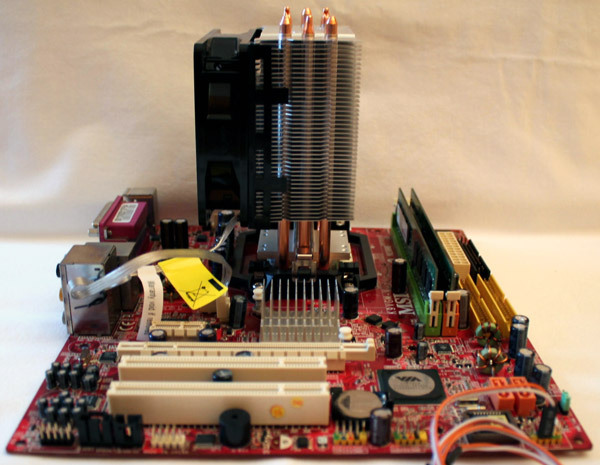 On my MSI MicroATX mainboard used was enough space for RAM Modules with heat spreader. The declared fan speed from Cooler Master doesn't match with the result from the HWMonitor but rather has a maximum of 2636 rpm. The ambient air temperature at all 3 tests has been 18.6 °C. 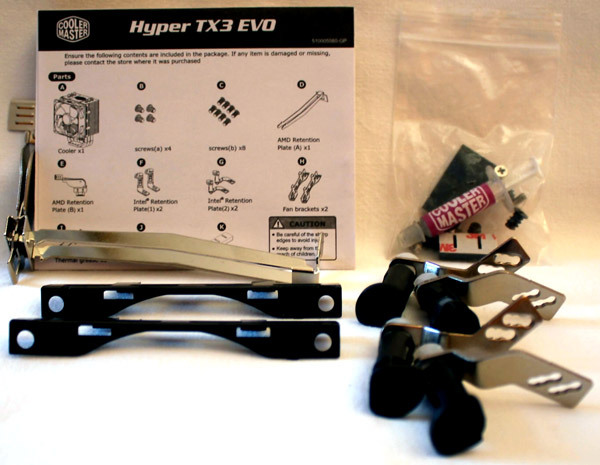 The Cooler Master TM3 Hyper Evo is at review date available for 20 EUR. For this price I think it is a very good cooling solution. The mounting is easy for an rookie as well. The noise level is very low, also with an open test construction. I'm sure that you can't hear the fan inside of a case or at least only a little bit. 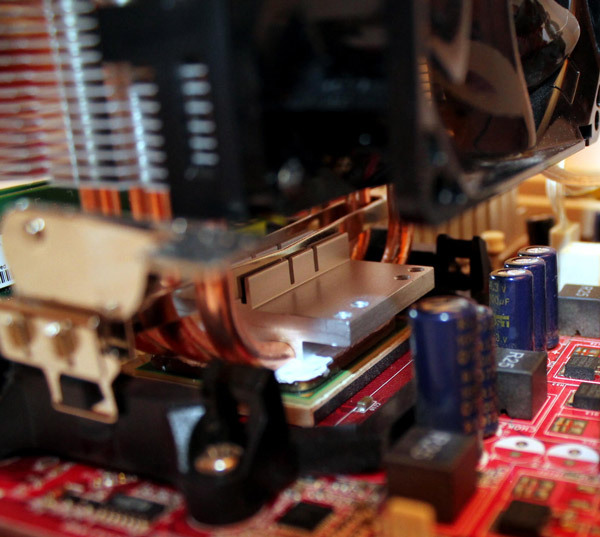 The purchase has all you need to cool your CPU and when you need more cooling, simple use the delivered set of plastic clips to fit a second 92mm fan (which is not included). Compared with the default Arctic Cooling Alpine 64, it shows how good the Hyper TX3 Evo is, mainly for this small price. The Cooler Master Hyper TX3 Evo gets my purchasing recommendation for a tray CPU or if you like to overclock your existing cpu only a bit. Here you can buy the Cooler Master Hyper TX3 Evo cooler.